With work about to start on the grade separation of the High Street in Reservoir, it seems like a good time to look back at the missed opportunities of the past. Forming a tangle of roads at the level crossing. Way back in the 1980s the Road Construction Authority looked into fixing the mess, but decided to kick the can down the road. Options for improvements to Reservoir Rail Level Crossing and associated intersections were released in a Discussion Paper in October 1985. The improvement schemes would reduce the current high traffic congestion levels, unsatisfactory accident record and traffic/pedestrian conflict. The investigation concluded that in the shorter term improvements to traffic movement and safety could be made by low cost at-grade intersection improvements. 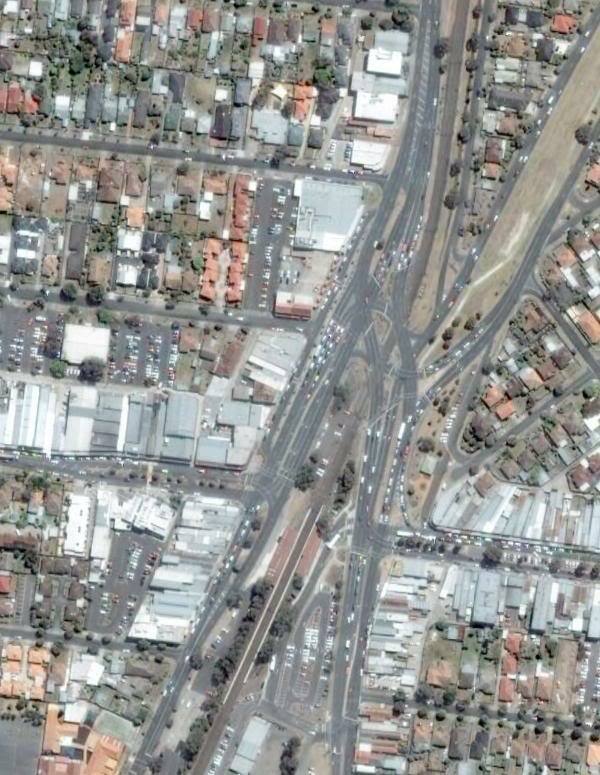 Provision of grade separation by lowering the rail lines could follow later. 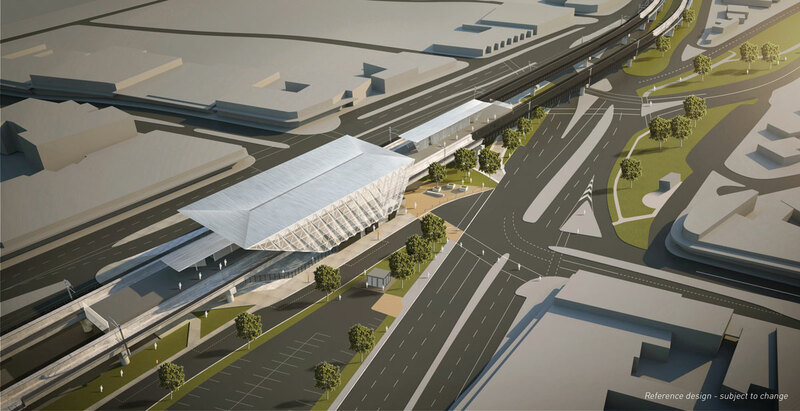 It’s only taken 30 years, but work has finally started on grade separation the intersection – with the new viaduct and elevated Reservoir station is due for completion in 2020. But the interesting part is to look at the long list of other road upgrade projects mentioned in the same 1986 Road Construction Authority annual report – what happened to them? 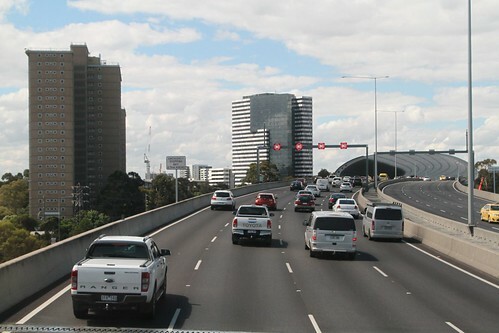 This study to examine the form and precise location of a new road connection between the southern terminal of Tullamarine Freeway and Footscray Road commenced in late 1984. 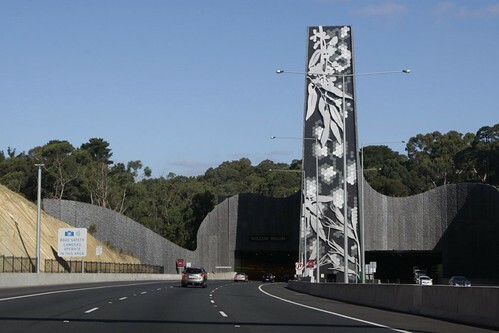 The ‘Western Bypass’ was rolled into the CityLink project of the 1990s and extended south to the West Gate Freeway, opening in 2000. 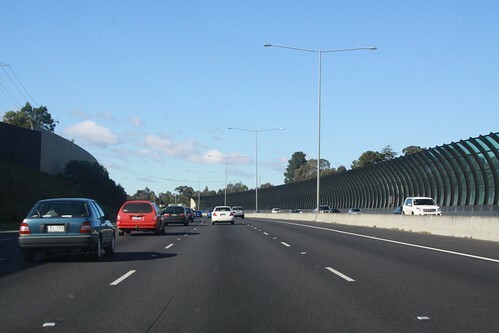 Originally built with three lanes in each direction, in 2008 an extra lane opened. In its early stages the Metropolitan Roads Access Study (METRAS) identified traffic congestion, together with the associated environmental and safety effects both on arterial and local roads, as a major issue in the Eastern Corridor. One possible traffic management option to relieve these problems was seen to be the development of an arterial road along the Eastern Road Reservation. This road could extend from the Eastern Freeway Terminal at Doncaster Road to the Maroondah Highway at Mt Dandenong Road, Ringwood. 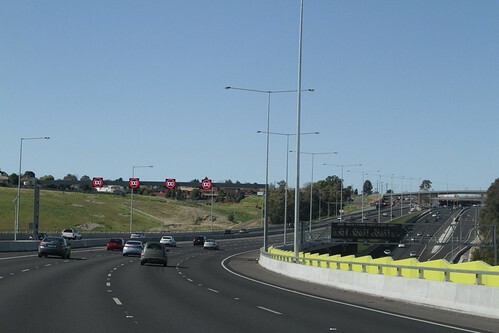 The Eastern Freeway extension was opened to Springvale Road in 1997. Then extended to Ringwood in 2008 as part of the EastLink. 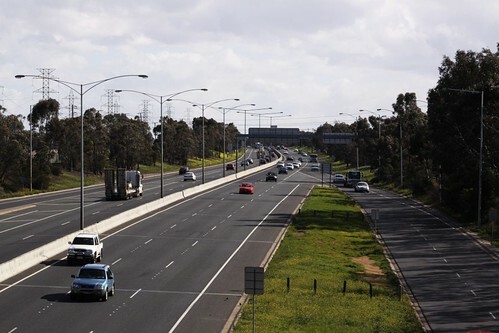 In September 1985, the Minister for Transport announced his support for the Pascoe Vale Road Relief Study recommendation that a 7.8 km section of the R5 outer ring route be constructed between Sharps Road, Tullamarine and Mahoneys Road, Fawkner. 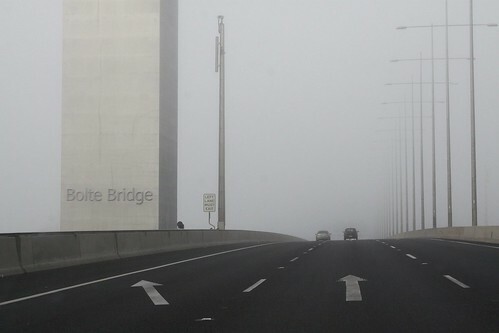 Opened in 1992 as the first section of the Western Ring Road. Then an extra lane added in 2009. Investigations into the future development of the Calder Highway between Diggers Rest and Gisborne were completed in early 1986. This work included a review of initial proposals in the light of submissions received from affected property owners, concerned Shire councils and various government agencies. A summary of the review, together with an outline of the Adopted Proposal for the duplication of the highway with provision for long term development to freeway standards, was released in May 1986. The Diggers Rest bypass was opened in 1993, duplication to Kyneton completed in 2003, and to Bendigo by 2009. 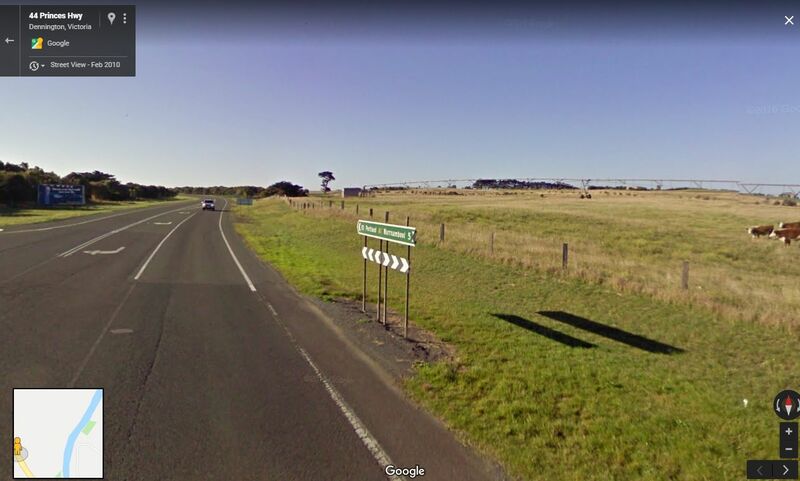 A summary of investigations into the future development of this section of the Princes Highway was released to affected property owners, Council and various government agencies in October 1985. 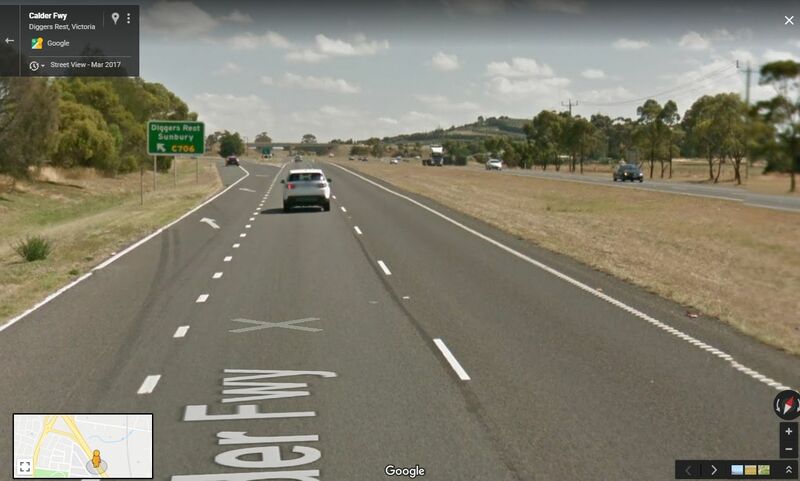 This section of the highway has low geometric standards and a higher than average accident rate, and the pavement will require major rehabilitation in a few years time if it is to be retained for State highway traffic. The proposed realignment, which makes use of a portion of the closed Dennington to Port Fairy railway line would improve overtaking opportunities and increase safety by reducing the frustration of drivers and the conflict between through traffic and access to abutting land. That’s five out of five road projects completed, with three of them having received further expansion since they were initially completed. Initial promotional materials for the project, as well as election material made mention of “connecting Broadway to Edwards Street”. It appears however, that the design pictured does not do this, nor does it reduce the complexity of the intersection or improve pedestrian accessibility. By elevating the rail line over High Street, we will create new direct connections between Edwardes Street and Broadway. We also understand that the inclusion of a connection between Edwardes Street and Broadway is a priority for the community. In the short term, however, we are getting on with the job of removing the level crossing, while protecting options for improving the road network in the future.